I have posted three new paintings on my 150 blog. This morning I have to go and pick up the 600 brackets that we'll be using to frame all of the paintings for the show. Then I will be back in the studio for the rest of the day. I am trying to set a timer so that every hour, I do a few rotations on the bike. Keeps the stiffness at bay and makes me get up and move around. I'm so excited - I have photos coming this week of the day trip to the Puye Cliff and Black Mesa. 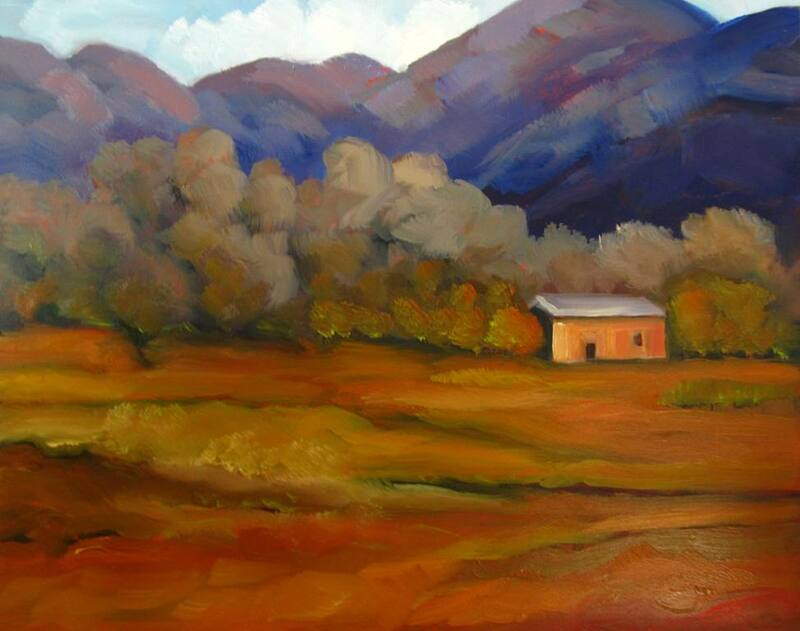 I can't wait to paint that little church and those subtle mountain layers in the background. I just got notification that my 150 Challenge postcard has been shipped and will be arriving soon. I'm also creating a flyer to be distributed, and the press releases will be going out on this weekend. Lots of stuff to do, besides creating the paintings! . To view the new 150 paintings, click HERE. LOTS of new 150 Challenge paintings!